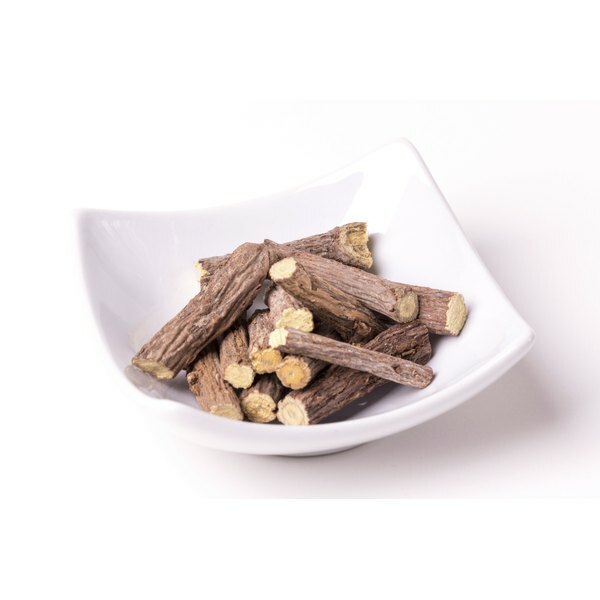 Deglycyrrhizinated licorice root, commonly called DGL licorice, may help alleviate ulcers, canker sores, gastroesophageal reflux disease and other conditions such as sore throats and arthritis pain. However, more study is needed before this herbal supplement can be backed for most uses. Consult a health-care provider before trying a new supplement. One of the most common uses for DGL licorice is treating stomach ulcers. However, scientific evidence on whether it’s effective is mixed, according to the University of Maryland Medical Center. It’s also traditionally used for duodenal ulcers, though more research is needed to support this use as well. DGL licorice may be a way to speed healing when you get a canker sore, according to a 1989 study published in “The Journal of the Association of Physicians of India.” You gargle with DGL licorice dissolved in water four times daily to achieve this effect. This study was small, however, and involved only 20 subjects. More research is needed to back these results before DGL can be declared effective for this purpose. If you suffer gastroesophageal reflux disease, or GERD, DGL licorice may help alleviate your symptoms when it is used in combination with several other herbs, according to National Institutes of Health online medical encyclopedia Medline Plus. These include milk thistle, peppermint leaf, lemon balm, German chamomile, caraway, clown’s mustard plant, angelica and celandine. Licorice is traditionally used for a host of other purposes, but insufficient scientific evidence exists to back any of them, according to Medline Plus. These include muscle cramps, hepatitis, lupus, arthritis, weight loss, cough and chronic fatigue syndrome. DGL licorice does not have the active ingredient called glycyrrhiza that other forms of licorice contain. This is advantageous because glycyrrhiza can cause serious side effects, according to the University of Maryland Medical Center. High doses of glycyrrhizin raise your risk for pseudoaldosteronism, a condition that makes you overly sensitive to a hormone in your adrenal cortex. This may lead to water retention, fatigue, headaches, high blood pressure and heart attacks. However, licorice can interact with numerous medications, and use of any type of licorice is not recommended for time frames longer than four to six weeks or for pregnant women, so check with a doctor before trying it.